The Evoluent keyboard’s numeric keypad is uniquely on the left side to let you put the mouse much closer. A conventional keyboard forces you to frequently move your right hand from the mouse to the keyboard to press Enter, Del, Page Up, Page Down, Backspace, Home and End. 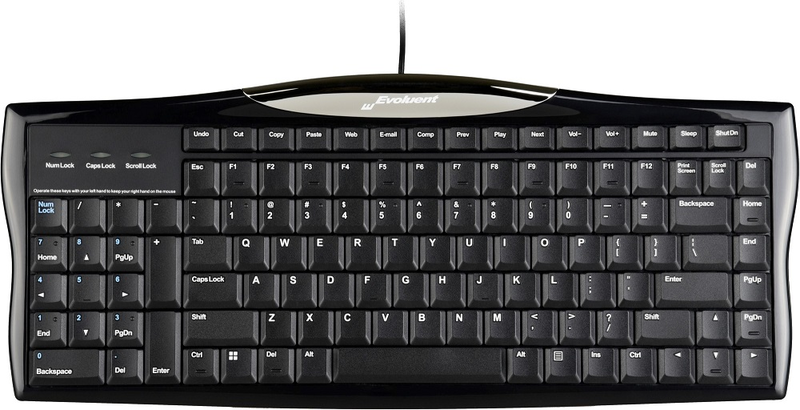 Evoluent’s keyboard has these often-used keys duplicated on both sides. The left side navigation and numeric keys may be operated with your left hand to reduce reaching for them while using a right-hand mouse.The shortcut keys on many keyboards, such as opening web browsers and email, are embedded in other keys. Accessing them requires simultaneously pressing Fn and the shortcut key with two hands.